In 2014, Kashmir’s private coaching centres conducted a survey to determine the amount of money Kashmiris annually spend on their children who pursue higher education outside Kashmir. The results were astonishing: 1400 crore. Under Prime Minister’s Special Scholarship Scheme, Delhi directly funded professional education of thousands of students. The lack of private sector in Kashmir’s higher education is a perpetual concern. Barring a few private colleges, predominantly B Ed institutes, Kashmir lacks quality private institutes. For decades the University of Kashmir maintained a complete hegemony over the education system. It now has two ground campuses in northern and southern Kashmir and a satellite campus in Leh. Kashmir till date has a handful of private institute in higher education, most of whom, offer BEd courses. Established in 1988, Srinagar School of Management (SSM) college was the first step towards privatization of technical education in J&K state. The college pursues a vision in professional engineering and management education and is the only institute in J&K accredited by National Board of Accreditation (NBA), All India Council for Technical Education (AICTE). Dr GN War, the chairperson of Private Schools Association had applied to register his college with the state government in 2012. The hurdles created by the government have saddened him and the proposal is almost binned now. “The blanket policy of the government will boomerang one day,” he anticipates. Although the state government has been laying emphasis on the government institutes, but, academics believe that it will not serve the purpose that private institutes could. Madhosh believes that since 1947 the government has laid emphasis only at elementary level to improve the literacy rate. Programs like SSA were launched but were restricted to primary levels only. SSA or Sarva Shiksha Abhiyan has been operational since 2000-2001 to provide for a variety of interventions for universal access and retention, bridging of gender and social category gaps in elementary education and improving the quality of learning. More recently, the government launched Rashtriya Madhyamik Shiksha Abhiyan (RMSA). However, Madhosh said that the scheme caters to the needs of secondary and higher secondary levels only. Initiated in 2009, RMSA, demonstrates the government’s ambition for a secondary education system only. It aims to increase the enrolment rate to 90% at secondary and 75% at higher secondary stage, by providing a secondary school within reasonable distance of every home. It also aims to improve the quality of secondary education by making all secondary schools conform to prescribed norms, removing gender, socio-economic and disability barriers, and providing universal access to secondary level education by 2017. “The role of private players in education sector is a reality now. Let us face it without prejudice or bitterness. The problem with our policymakers is that they live in a denial mode; they don’t want to acknowledge the contribution of private players in education sector viz-a-viz improving the state of education in J&K. 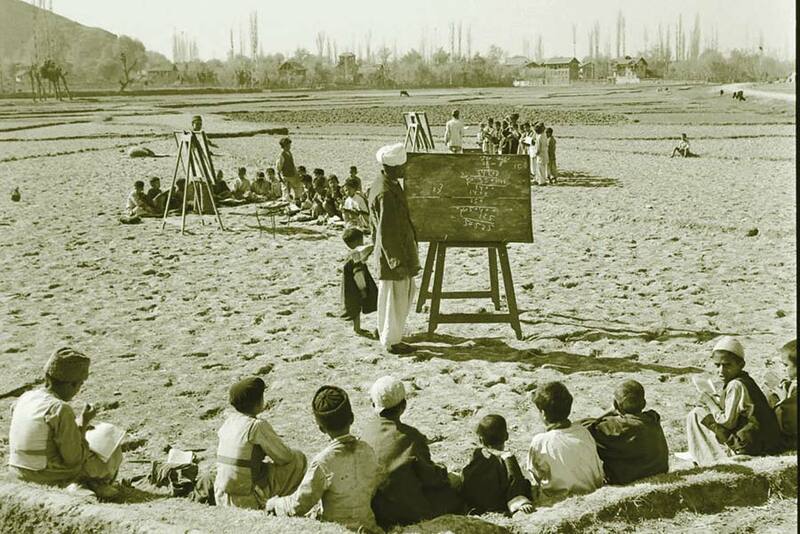 We have quality private schools since last 150 years in Kashmir. How can anybody forget contribution of Dr Novels, Tyndale Biscoe and Maulana Ghulam Rasool (Nusrat-ul-Islam),” asks Madhosh. Since 2001, Madhosh has been part of eight committees formed to frame a policy on education in Kashmir. Education sector, Madhosh said, is directly connected with the vote-bank politics. “Every MLA, or a minister wants a school, college, and even a university established in his constituency to appease his voters. This only degrades the quality of education. These schools, once established to appease a politician and his followers, are then forgotten by the very system that created them due to lack of resources. In most of the cases these institutions don’t have even a single specialised teacher!” he said. Madhosh believes that if the budgeting of the higher education is done judiciously, Kashmir will not need private sector. “The government should put a break on its expansion policy.” Off late, colleges have gone to bigger villages, restricting the new generation to even know Kashmir. In 2009, the then chairperson of Jamiat-e-Ahli Hadees, Moulana Showkat proposed to the state government establishing a private university in Kashmir: Trans-World Muslim University. “Government is incorporating different requirements, in reality unnecessary hurdles, so that the private sector does not take off,” War said. He said that almost all the handful of private institutes in Kashmir had a political backing. “SSM College permission was granted only because the owners were close to a senior politician of the state,” War said. On the other hand a very senior medic and professor, Dr Azad Lone had proposed to establish a medical institute Prime Medical College around the same time when SSM came to the scene. “Numerous hurdles were created for Dr Azad. He was literally frustrated and later gave up,” War added. War, however, credits the incumbent Education Minister Altaf Bukhari and Commissioner Higher Education, Dr Asgar Samoon for adopting a reasonable policy towards the private players and encouraging their efforts at all levels.